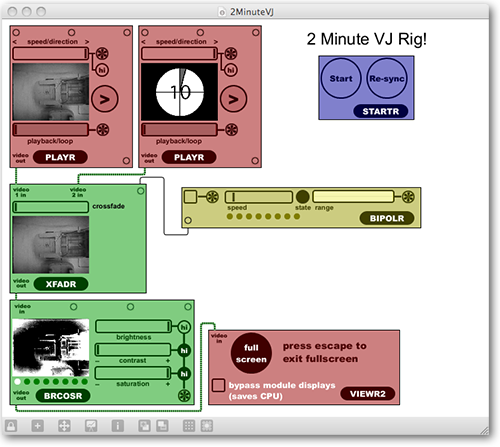 With the latest version of Max/MSP and Jitter, we are including a new set of modules called VIZZIE to help you create your own unique video programs right away. VIZZIE makes putting it together fun and gets you from start to finish in record time. 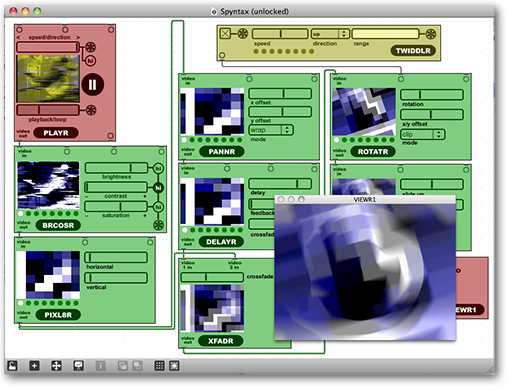 Vizzie is included in Max 5.1.7 (or later), and is free for existing Max/MSP/Jitter 5 owners. For new users, Max features a 30-day demo to experience the Vizzie magic. Do you want to create live visuals but don’t know where to start? You just opened MaxMSP for the first time and you want to have some fun? With VIZZIE, you just grab a few simple modules, connect them together and almost instantly have a VJ rig or interactive video work, complete with real-time effects. Haven’t used Max before? VIZZIE is here to help. Along with the VIZZIE modules, we’ve created tutorial videos that will guide you through the process of getting started. You will have your first Jitter patch built within minutes of trying VIZZIE. Once you’ve gotten a few basics under your belt, you will be exploring the world of video effects, automated mixing and more. The VIZZIE modules let you drop in video players, effects boxes, automation generators and MIDI connections in minutes. Since it's all Jitter under the hood, it works seamlessly with all of the Jitter programming you already know. Even if you are a Jitter master, VIZZIE will help you get it done before the show begins. Looking for a little extra flavor in your Jitter patches? Insert VIZZIE modules into your existing patch to test out new effects chains, connect your hardware or create a tight performing interface. Got a friend that wants to learn Max? Use the VIZZIE modules to introduce them to the world of Max quickly and easily. 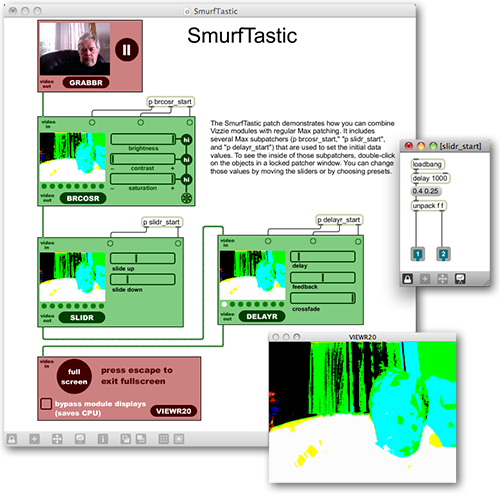 The VIZZIE modules are free with Jitter, and come loaded with every Max/MSP/Jitter install. Check out two more tutorial videos below and see what it's like to work with VIZZIE.